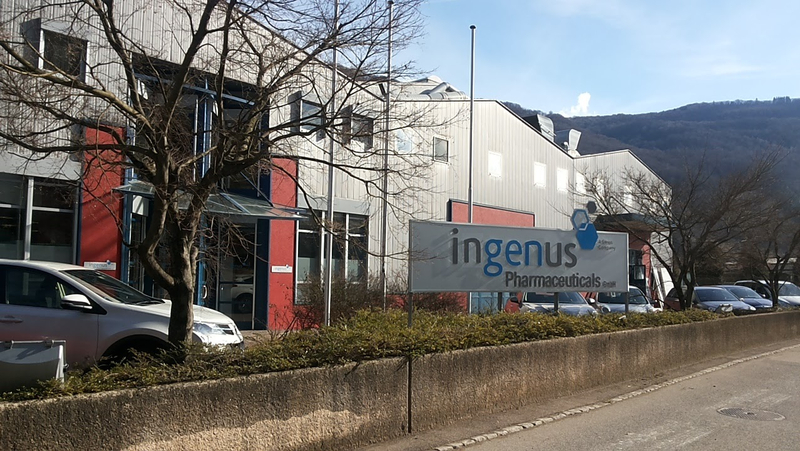 Ingenus plant is located in Lugano and was founded in 1997. Acquired in 2004 by APP Inc., it became Abraxis BioScience Switzerland GmbH in 2008 and in 2009 was taken over by Intraco Chemicals Ltd and renamed Pharmintraco GmbH. In 2011, Euticals S.p.A. became partner of Pharmintraco with the aim of developing finished products that are originated from molecules manufactured by them. In 2014 a new shareholder, mainly interested in the plant for developing, scale-up and manufacturing products developed by himself for the US market, became the owner of the Company. In 2016 the company adopted the new name of Ingenus Pharmaceuticals. The plant is specialized in aseptic manufacturing of high potency injectable pharmaceutical products, liquid and lyophilized in vials, using isolator technology, and, in this sector, it has a consolidated experience in a wide range of medicinal products. Ingenus owns the Authorization for manufacture, import, wholesale trade, export and trade abroad of medicinal products released by Swissmedic. Ingenus has been also accredited by FDA and the Japanese Authorities (AFM) as a foreign drugs manufacturer.